We are now proud to welcome along DJ Kemit’s debut EP to our Makin’ Moves Label. Presenting The Lounge Lizards ft. Jill Rock Jones. DJ KEMIT is also internationally known for his production work as one-half of KemeticJust. Within a year of joining forces, he and Justin Chapman, aka Just One, had their first release, picked up by King Street,one of the worlds biggest house music labels in 2014 courtesy of house music legend Lil Louis. KemeticJust continued with two dozen releases on labels such as Nite Grooves, Yoruba Records, Giant Step, Diaspora Recordings, Wave Music, Bombay Records and Play Records that are still praised within the underground house music scene. KemeticJust’s trademark deeper-than-deep sound is made of lush, moody instrumentation that blends with airy acoustic guitar licks, beautiful melodies and ethereal, sweet vocals. Think Larry Heard sensitivity with more dancefloor kick. How did DJ KEMIT land such massive talent for his debut? His penchant for impeccably crafted songs and honouring his collaborators genius, a constant refrain from any artist he’s worked with. While EVERLASTING recently has taken center stage, DJ KEMIT has long been a sought-after producer for remixes such as Still by ERRO, On the Beach by Leon Ware, and the 4Evermore remix for David’s EP Location, Location, Location. Every time, KEMIT finds a way to draw even more emotion from already heart-touching songs, or bump just enough bounce into surprising dancefloor steppers. 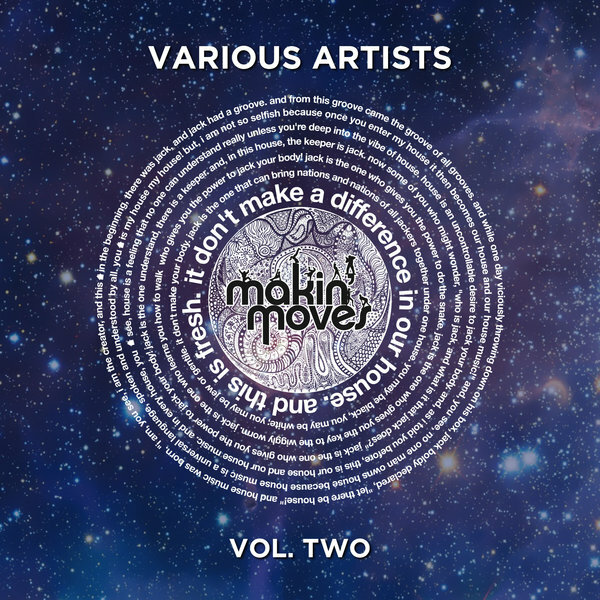 We hope you all enjoy this musical craftsman as much as we do here at Makin’ Moves Records. All songs mastered by Daz I Kue for Bugz In The Attic & Daz I Kue Productions. Executive Producers: Matt Langrish Smith & Jamesey for Makin’ Moves Records. This is our second compilation of tracks we’ve released on the label, a hand-picked selection of tracks released on the label this year selected by label bosses Matt L-S & Jamesey! We’ve had the privilege of working with some fantastic artists this year including our 50th digital release from The foreign Exchange expertly remixed by DJ Spinna from NYC. We’ve also worked with likes of Frank McComb an absolute soul legend as well as working wth our good friend DJ Uchikawa aka Loftsoul from Japan. Not forgetting promoting home bread talent Wipe the Needle, Urban Sound Lab and David Anthony who’s releases all feature on the compilation. Also, if you just want to hear a mix of many of the tracks you have the option to purchase a mix of the tracks superbly mixed by Jamesey. 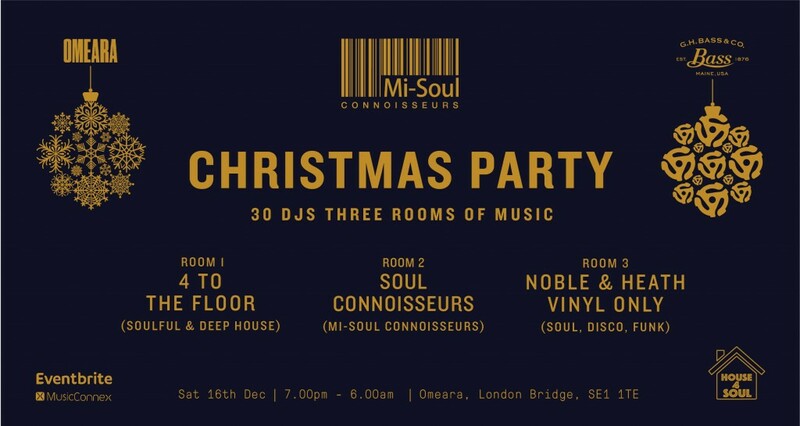 You can catch our residents Matt L-S & Jamesey playing in the 4 to the Floor room at the Mi Soul Connoisseurs party on Saturday 16th December. This all takes place at the amazing Omeara venue in London Bridge were we had a great party last month with Mike City! There will be 30 DJs on the night and this is just one of the many rooms with tickets only a mere £5 at the moment so grab them fast!